In addition to arranging the notification, visitation, and funeral service, you will choose a burial receptacle for your loved one. Casket selection is a personal decision. You may select the beauty of wood or the brilliance of fine metal, tailored simplicity or a more elaborate design. Your funeral director will help you choose the right casket to fit your budget. 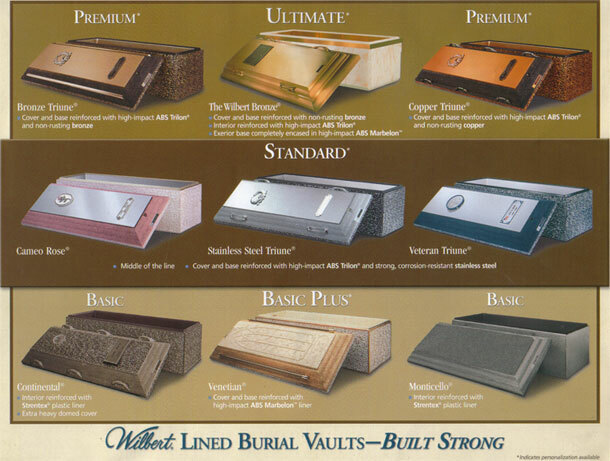 Burial vaults are lined and sealed outer receptacles used in cemeteries for underground interment. In most areas of the country, state or local law does not require that you buy a container to surround the casket in the grave. However, many cemeteries require that you have such a container so the grave will not sink in. Either a grave liner or burial vault will satisfy these requirements. 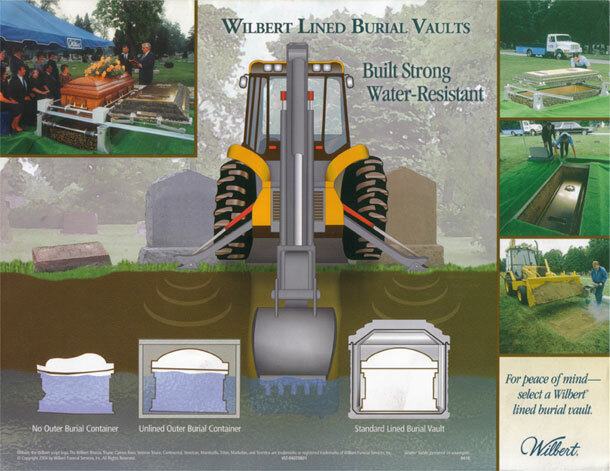 Burial vaults provide the casket with lasting protection against subsoil elements such as ground water and the weight of heavy cemetery equipment.